Robert's enthusiam for Life is evident in all that he creates. Robert loves to experiment with mediums and surfaces. 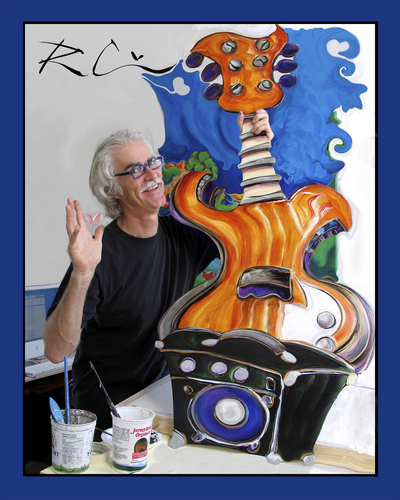 The Guitar Robert is holding is made of aluminium then painted with acrylic paint. The computer is one of Robert's favorite mediums right now. The image you see here is one that Stephanie Linn took and Robert worked on in Photoshop. Robert hopes you enjoy seeing the image as much as he reveled in creating it. 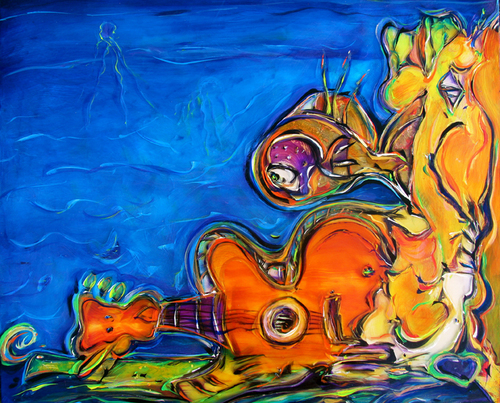 This painting titled "Playing On Through" is one of Robert's newest paintings. The medium of this painting is arcylic on Plexiglass, the size is 27 x 22 inches, the price is $ 1,190.00. Painting on Plexiglass Robert is able to get depth as deep as his imagination. "Young Garden Players" is another new painting Robert created just a few months ago. Robert created this painting by applying acrylic paint to Plexiglass. 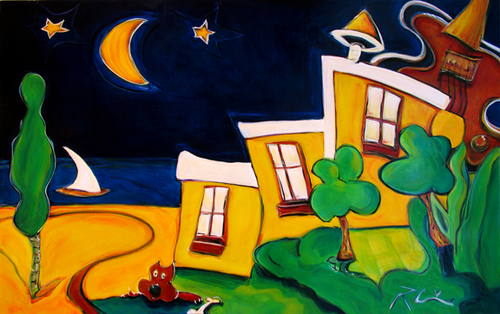 The size of this painting is 14 x 29 the price is $ 890.00. 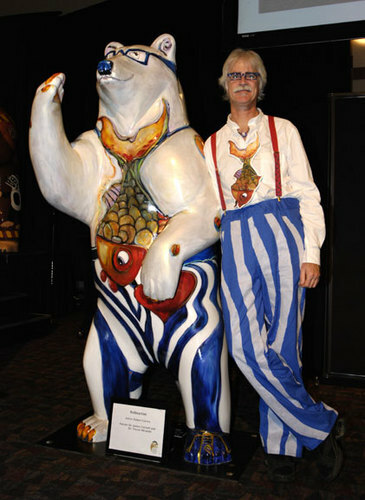 Please call 250-732-4599 for an appointment to see Robert Cerins' colourful whimsical home gallery & studio.